Fan Forum > Info Center > Communications Team Member Opening Announcement - Extended!! Communications Team Member Opening Announcement - Extended!! The Communications Team is a group of Fan Forum members who use their time to promote, network, and link outside of the site itself. This involves updating 's social networks (Facebook, LiveJournal, Twitter & Tumblr) with exciting links, news, and events happening here. It also means contacting fan sites and securing partnerships between them and Fan Forum. There's also a new update to the way CT works. We now have two teams that members can choose to be on: Social Updates Team or Affiliate Contact Team. Members can still choose to be on both if they want, but it is there so that you don't get overwhelmed with having to do everything if you have limited time but would still like to be part of the team. The deadline for applying for this team is June 9th, 2017 at 12pm GMT June 23th, 2017 at 12pm GMT July 7th, 2017 at 12pm GMT. We're excited to see lots of applicants for this fun and important team. 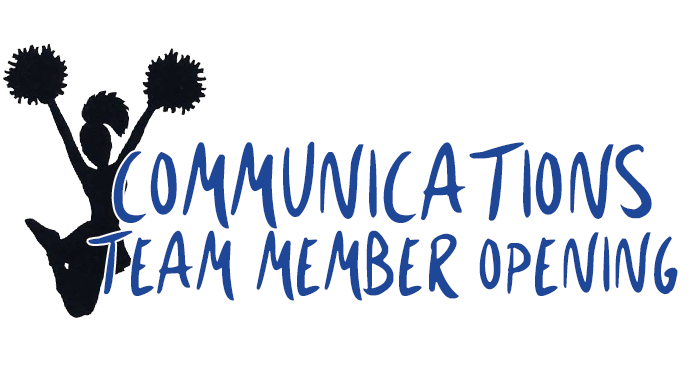 If you have any questions on the work of the Communications Team don't hesitate to post them here or pm one of us. Please apply and consider joining the cheerleaders squad. Looking forward to seeing my new teammates! Give me a F, give me an A, give me a N, give me another F, give me an O, give me a R, give me a U, give me a M. WHAT DOES THAT SPELL? FANFORUM. If you love FanForum, join the Communications Team and help us spread the word!!! Please apply if you're considering it, being on the CT is so much fun! This team does a terrific job of promoting in general, and celebrations at individual boards at the various social media sites. Also in helping our members find other sites they might be interested in visiting through the affiliates system. If you have a little time to spare, please consider applying. Yes, it is a lot of fun. Join us!!! Looking forward to adding new members to the team! We have already added one new member to the team. I'm looking forward to finding out who the new members are! Definitely apply if interested! Are applications still open? Can I apply even though I've really only been active on one forum? I will try to change that.